I have five books I’ll be trying to get through this month. There are no guarantees, now that I’m a college student, studying between blogging breaks. I want to finish a book I picked up last month from my school’s library. The new Black Panther comic written by Ta-Nehisi Coates and illustrated by Brian Stelfreeze. I’ve seen the movie three times and I just love him. I read the Civil War comic a few months ago and really enjoyed it. I’ve always wanted to get into comic books, maybe that’s why I love graphic novels so much. Side Note: Black Panther is on Netflix and I’m torn between studying for my quiz on Thursday and watching the movie again. The next two books were mentioned in yesterday’s Two for Tuesday. Not only are they beautiful, but I’ve also heard many raving reviews. 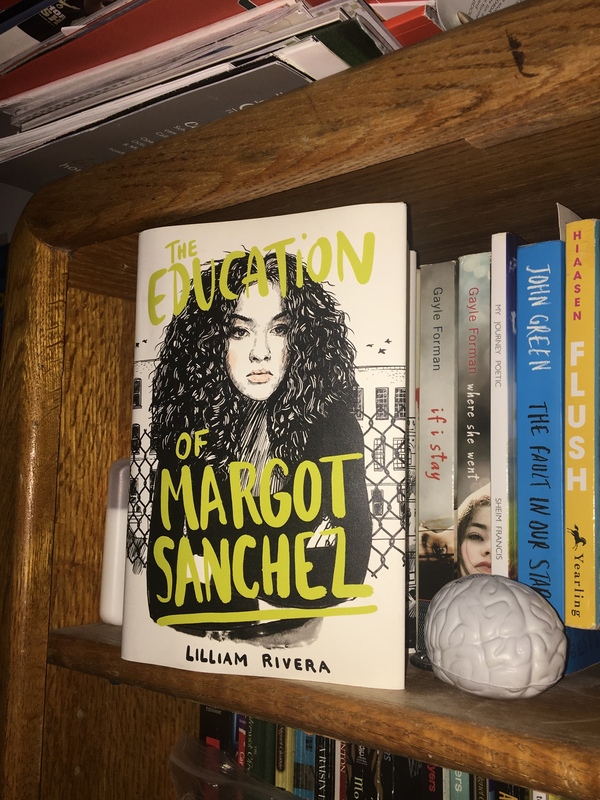 That is: The Education of Margot Sanchez by Lilliam Rivera and American Street by Ibi Zoboi. These gorgeous novels are both by women of color which has me extra excited. Then I have a finale that’s been on my shelf since this summer. Library of Souls by Ransom Riggs has been in my TBR forever now and I really want to know how everything ends. I might need a refresher from the other books first, so we’ll see if this changes. And last, but not least, is Written in the Stars by Aisha Saheed. I’ve had this since April of 2017. I got it at April is for Authors and it’s even signed. Back when I first started it, I wasn’t really in a contemporary mood. Let’s hope I finish it this time around. Have you read any of the books in my TBR? The Educated Negra • This entry was posted in Books, Comic, Fiction, Graphic Novel, Young Adult and tagged Blogger, Currently Reading, Diversity, Race, Reading, Review, Romance, TBR. Bookmark the permalink.